Winter is coming! Snowing days also, so we are here to prepare you for these cold and rainy days. Prepare your pets too and do not let them be cold and sad. They will be surprised and happy if you make something for them. Coats, shirt or blanket to keep them warm in the winter days. You can knit in different colors and can change every day or to do more than one blanket in several places in the home. Let your pet to choose which is the best and most comfortable. Make pet comfortable to wear. 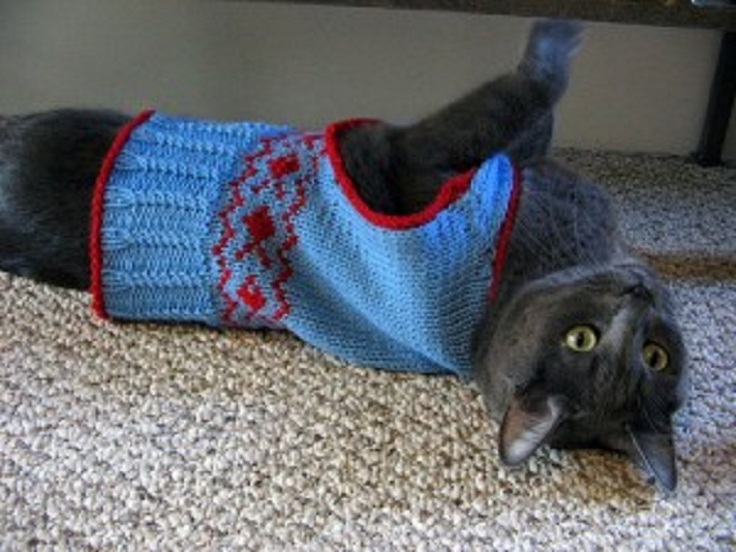 Cats get cold too, so use this free knitting pattern to keep them warm. This is great for prancing in the snow outside. You can make more stuffs and accessories for your pet but first make them a clothes. Each pet will get used to the new clothes and is particularly pleased when you choose the color and make your appropriate. Consider the following suggestions and start knitting. December came, it is time for innovations in your home. 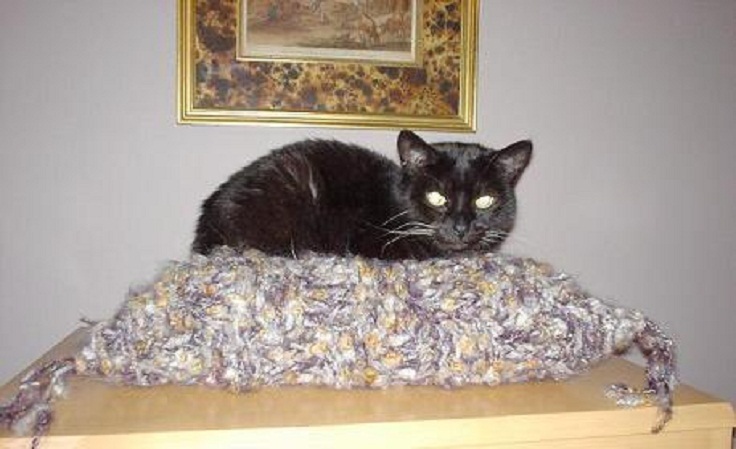 Many cats, especially smaller ones with thin, short fur, will feel the chill as winter draws on,any excuse for more knitting of course! A comfortable, durable, machine-washable cotton or acrylic mix and it’s all recycled too! Perfect Christmas choice! Christmas just wouldn’t be Christmas without a gorgeous snowflake jumper, right? Now your dog can have one too! Choose this jumper and just enjoy winter holidays with your pet. 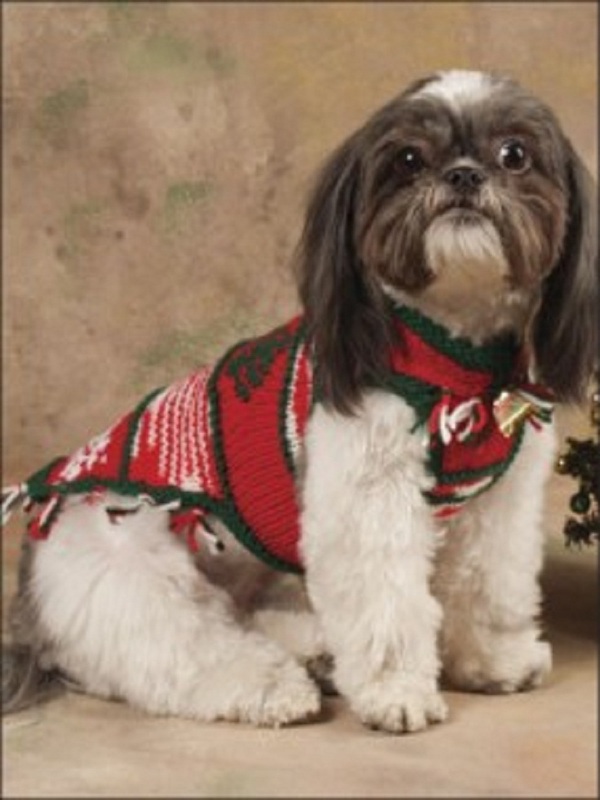 Show how very tastefully you pamper your pooch with this chic cable cat coat pattern! Maybe your cats do not believe in Santa but the spirit of Santa in your home will make them happy! This beautiful lace leaf dog coat is gorgeous at any time of year but particularly suitable for Christmas, with those lovely bobbles along the back and the festive green shade! Cast on 46 stitches onto your size 6US needle. Work ribbing for 8 rows in the navy blue, after 8 rows, switch the work over to the larger size, 7US needles.Switch to the light blue color. Work garter stitch for the first and last 4 stiches. For the middle of the rows, use stockinette stitch. And keep following next steps! It is pretty simple to make. It’s basically just a rectangle that tapers a bit at the ends folded in half. 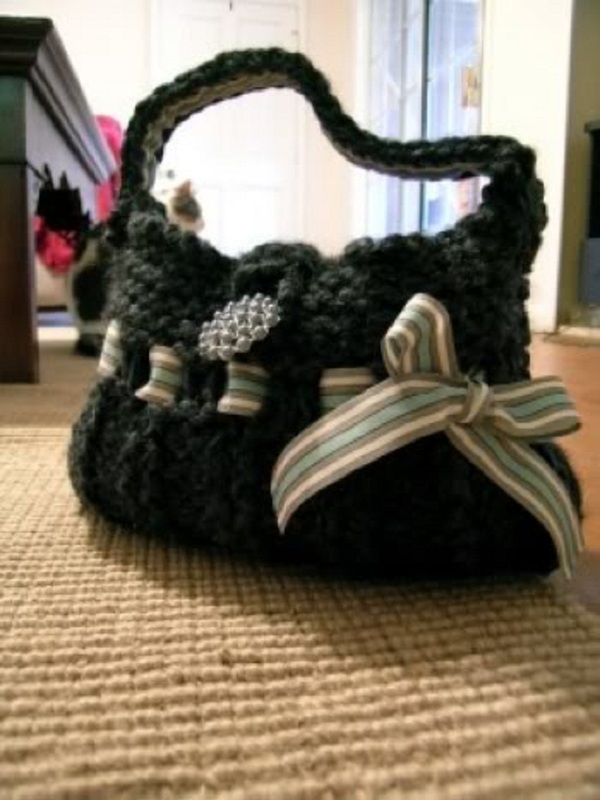 We recommend to use Wool-ease thick and quick yarn in a dark grey color. A brooch is used as the closure. 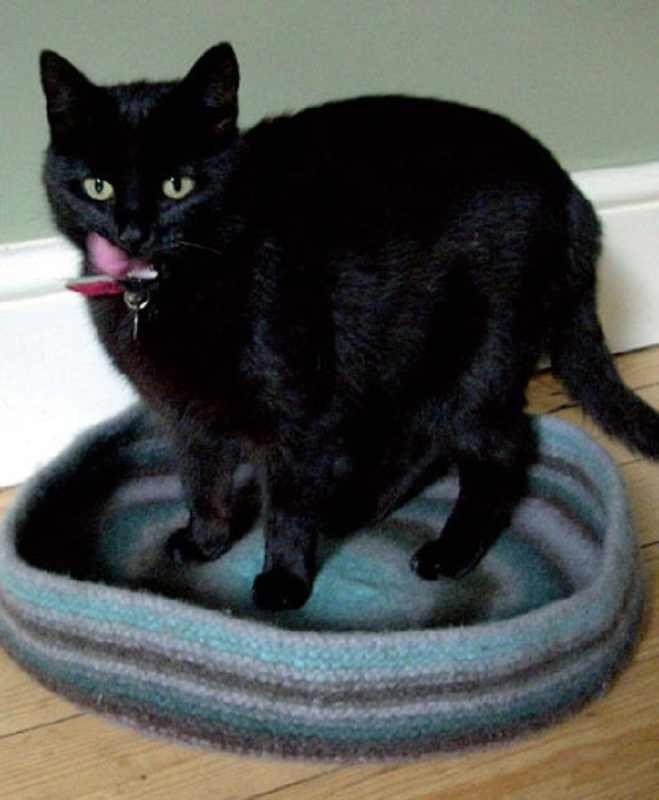 Knit this cute felted cat snug / cat basket in the gorgeous Colorscape Chunky. Your cat will be happy and adore this awesome and comfortable basket. 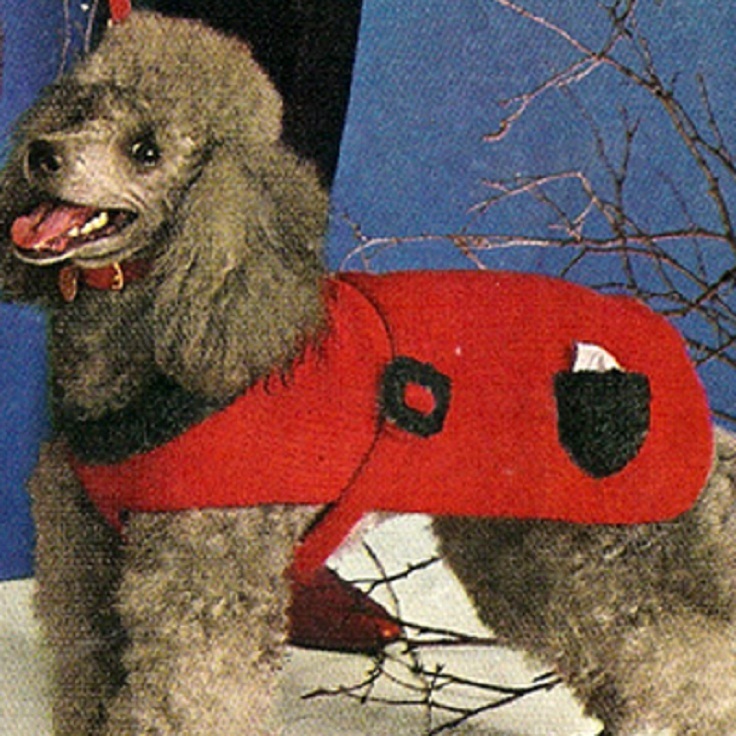 This gent looks very happy in his button-up dog sweater and who can blame him? 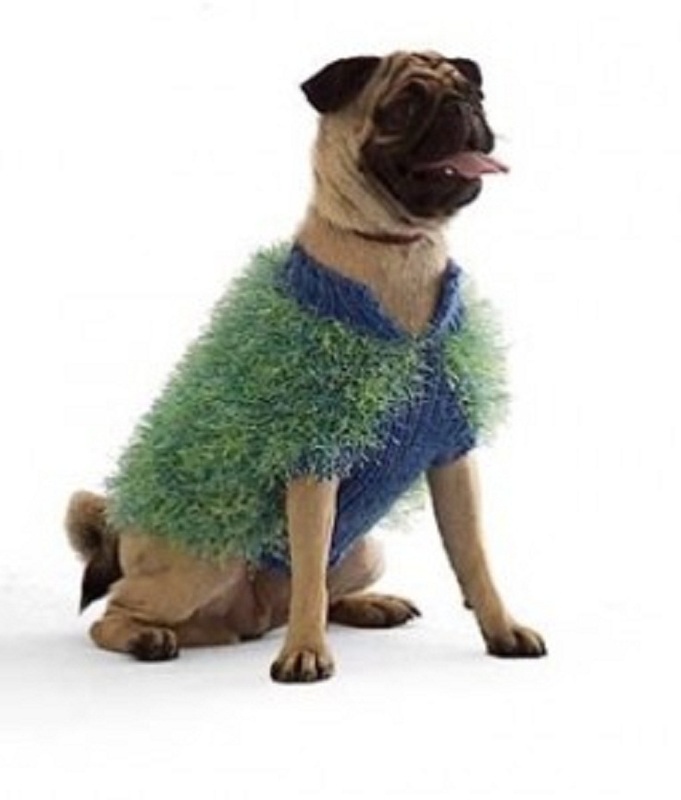 Elegantly simple, this ribbed dog coat will suit even the smartest dog. 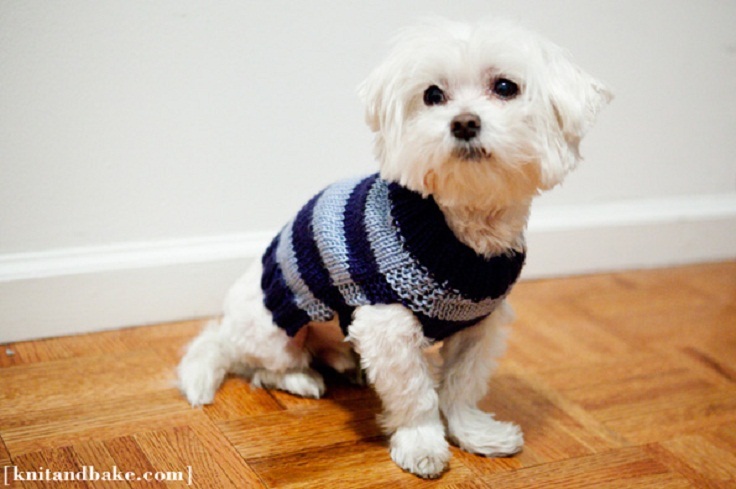 Just type in your dog’s measurements and the tension of the yarn you want to use and you will get your very own pattern customized for your dog it will even have his name on! You can even determine style details yourself too!